Description: You are bidding on a Bushmaster XM-15 in 5.56NATO with a 16"Barrel. Built on Bushmaster's workhorse of dependability XM-15 platform, the Quick Response Carbine delivers lightning-fast response in a lightweight, maneuverable AR. Comes equipped with a quick-detach, red-dot optic mounted atop the M4 receiver's picatinny rail. 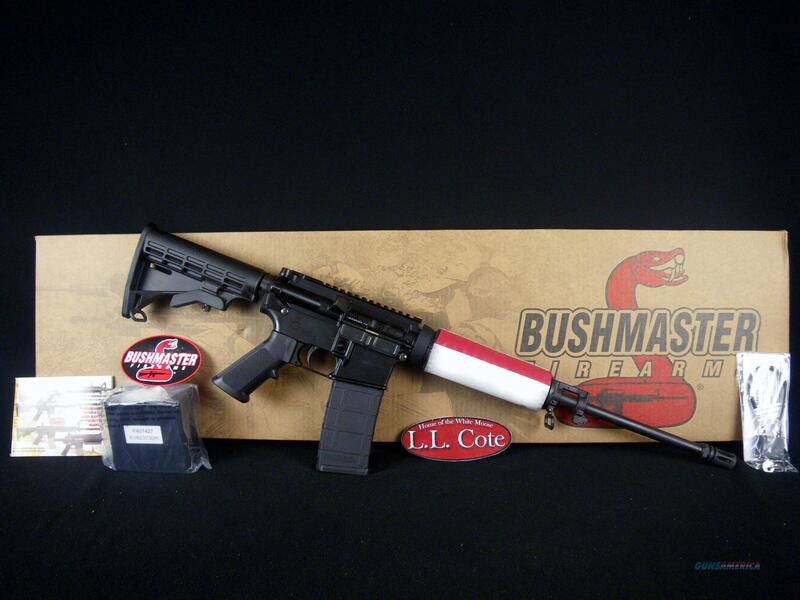 This Bushmaster AR style rifle is boresighted and ready for use, right out of the box. Displayed images are stock photos. Any questions please feel free to ask (our phone number is in the additional information tab above).